Not only with the fatty face, it can also be used for sagging parts which are produced with age. Remove the fat by giving the effect of face lifting on cheeks and double chin. 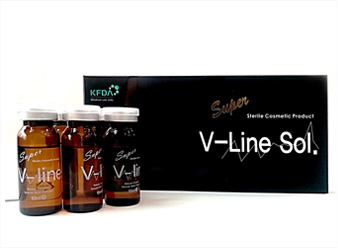 It makes perfect face line with V curve. Promote cell regeneration and leave skin smooth and elastic. Show quick treatment effect of fat removal with perfect results. Quick and simple treatment in 5-10minutes and the results can be shown with only 1 time treatment. Storage Method: When unopened, room temperature storage, valid for 3 years. After opening, it is still fine to store in room temperature, but for safe & long storage, it is suggested to keep it in the refrigerator. The product is ready to use. It doesn’t need to mix with other solutions. 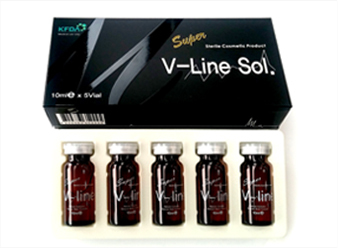 1 bottle can be used for 5 people, and inject maximum 2cc for full face. Injection depth 5mm，Injection amount 0.1~0.2cc, Injection interval 1cm. It shows the result after 1st treatment, but if side effects occur, additional injection could be done. Treatment interval would be 3 days. COPYRIGHT 2015(C) ACMEDI KOREA Co., Ltd. ALL RIGHTS RESERVED.